Thanks Editor. I've never seen that page. I looked around. Folks, there is a free version. Obviously has limited features. Comparisons are on the page. Thanks Indy, but the link from Downloadcrew points to the Free version of the download? I think it works initially as a 30-day trial, then reverts to the Free edition. 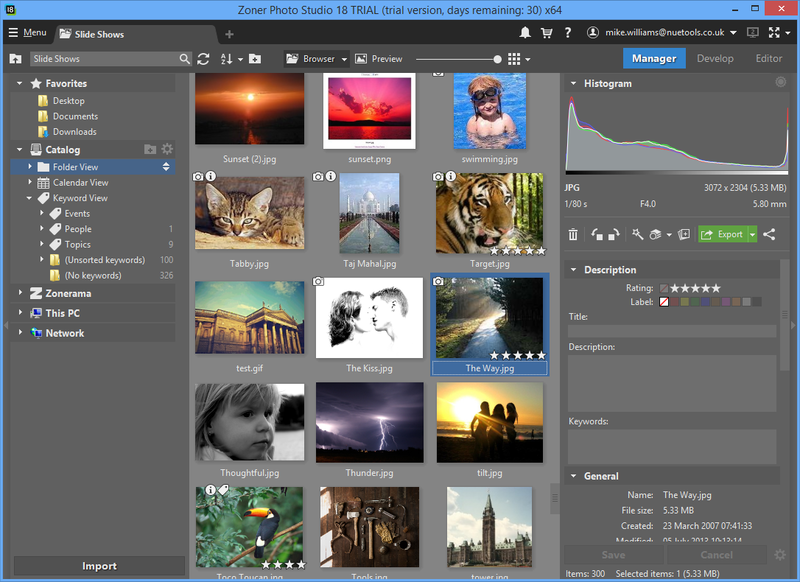 Zoner Photo Studio Free is for trial only. After 30 days its $99. I own photoshop and CS5.5, but I still bought this because this program replaces the convenience of lightroom for a realistic price.